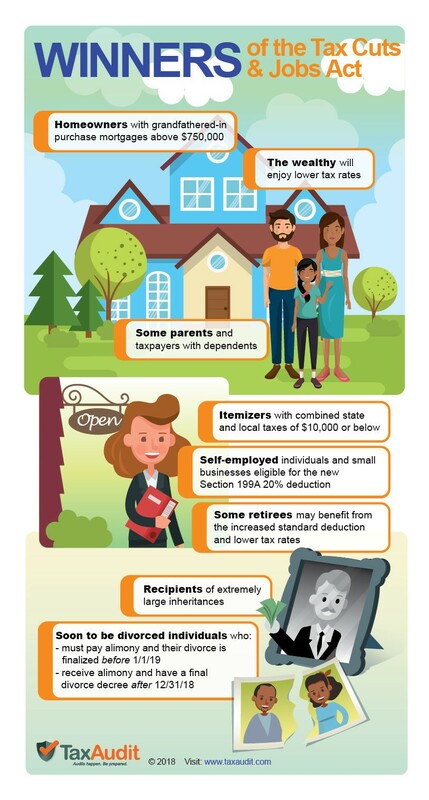 Home » Wealth Protection » Onshore solutions » Taxes » Are You a Tax Reform Winner? Are You a Tax Reform Winner? The Tax Cuts and Jobs Act is one of the biggest tax reforms in years, and many Americans are still trying to make sense of it. Fortunately, our own Ted Bauman, editor of The Bauman Letter, has put out a brand-new special report called Pay $0 Taxes. Within this thorough report, Ted breaks down dozens of ways that you can reduce your tax obligation, and who is benefiting from the new tax laws. The colorful illustrations are a nice touch, but the infographic doesn’t go into much detail. So I’ll break down the three biggest winners for you below. Married taxpayers making $600,000 or more will see the biggest change in their tax bill. They now pay 37%, down from 39.6%. So, due to the lower tax rate and other changes to the tax brackets, a married couple filing jointly with $1 million in income will pay about $32,000 less. Note that if you’re married and choose to file separately, you have to pay the 37% rate on income over $300,000. And for especially wealthy people who leave a lot of money to their heirs, nearly $11.2 million of that inheritance is now tax-exempt. Before, only $10 million was exempt. There’s a tax credit for children age 16 or younger who live with you for at least half the year. The credit is now $2,000 for each child, up from $1,000. That’s double the amount! And if you claim an adult relative as a dependent, you can get a tax credit of up to $500 depending on your income bracket. To qualify as a dependent, the adult must live with you. They also have to rely on you for at least 50% of their household expenses. The standard tax deduction nearly doubled in 2018. For example, a married couple filing jointly doesn’t pay taxes on $24,000 of their combined income, compared to only $12,700 of it in 2017. 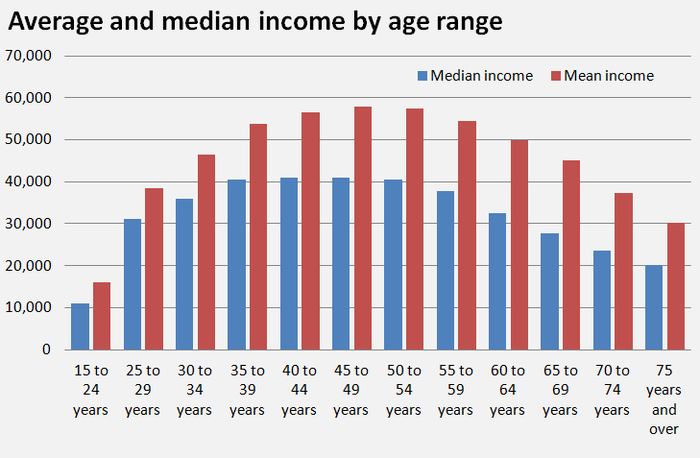 Since retirees generally have less income than working adults, they’re affected the most by the new deduction limit. And if you’re 65 or older, you get an additional deduction of $1,300 if you’re married, or $1,600 if you’re single. In both cases, that’s $50 more than it was in 2017. It’s not a big increase, but, hey, every bit helps. If I learned anything from doing research for this article, it’s that tax laws are endlessly complicated. For every credit or deduction, there are countless qualifications and exemptions. After all, the laws have to account for so many special circumstances. That’s why you absolutely need an expert to help you figure out all the details. When it comes to tax reform, that’s really the biggest difference between being a winner or a loser.